If you're an athlete, you push your body hard. You test your limits and set high expectations and new goals. 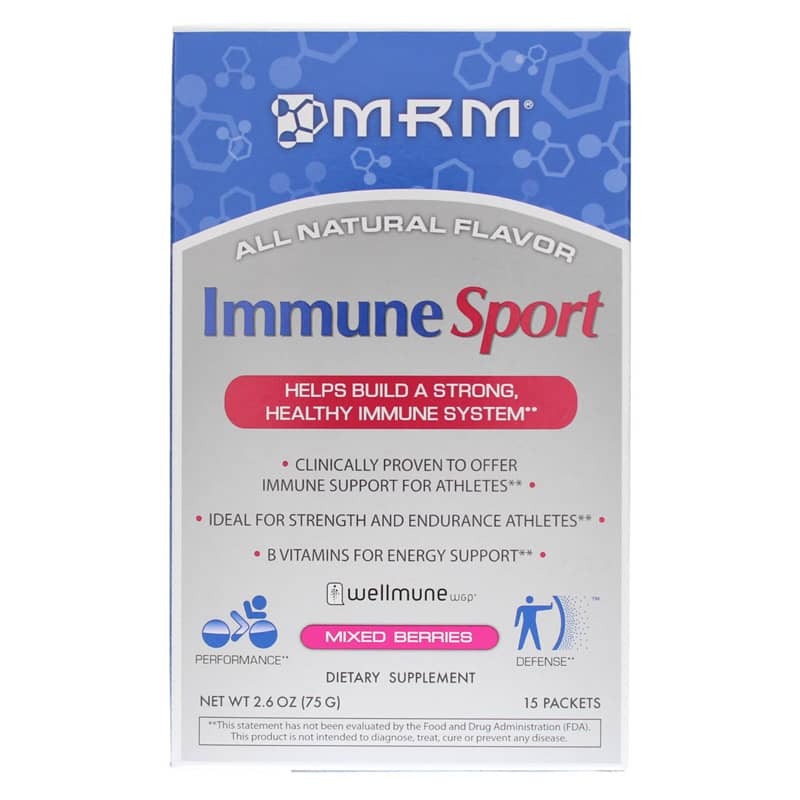 Help give your body the support it needs to meet those goals with Immune Sport from MRM. 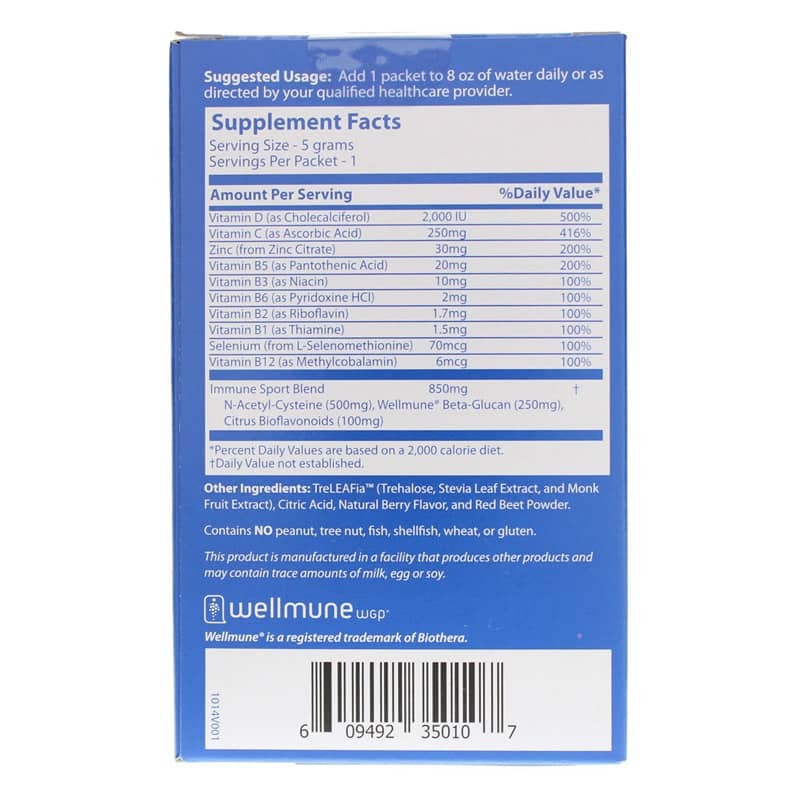 Developed specifically for athletes and those with very active lifestyles, Immune Sport is an immune system support supplement in convenient individual packets for a boost anytime, anywhere. The physical stress from long, intense workouts can tax the body's natural defenses. As the body works to recover from strenuous exercise and activity, the immune system can run short of the support it needs, making immune support particularly important for athletes. 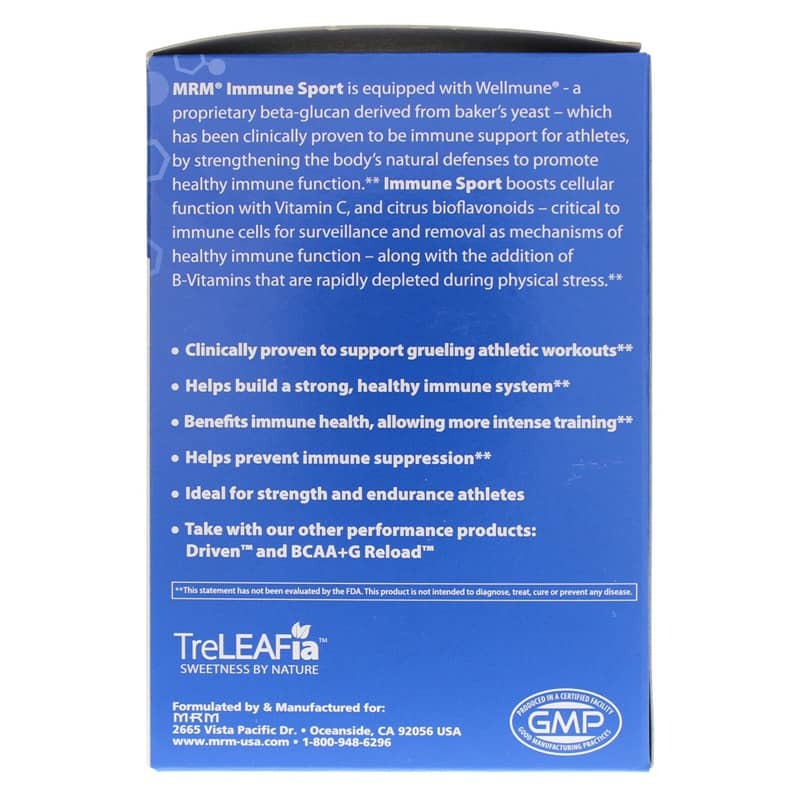 What makes Immune Sport different and more well-suited to support athletes than other immune support supplements is the ingredient Wellmune. Made from a proprietary baker's yeast 1,3/1,6 beta-glucan, this 100% natural ingredient helps to maintain a healthy immune system by supporting key immune cells essential to keeping athletes healthy after hard workouts. 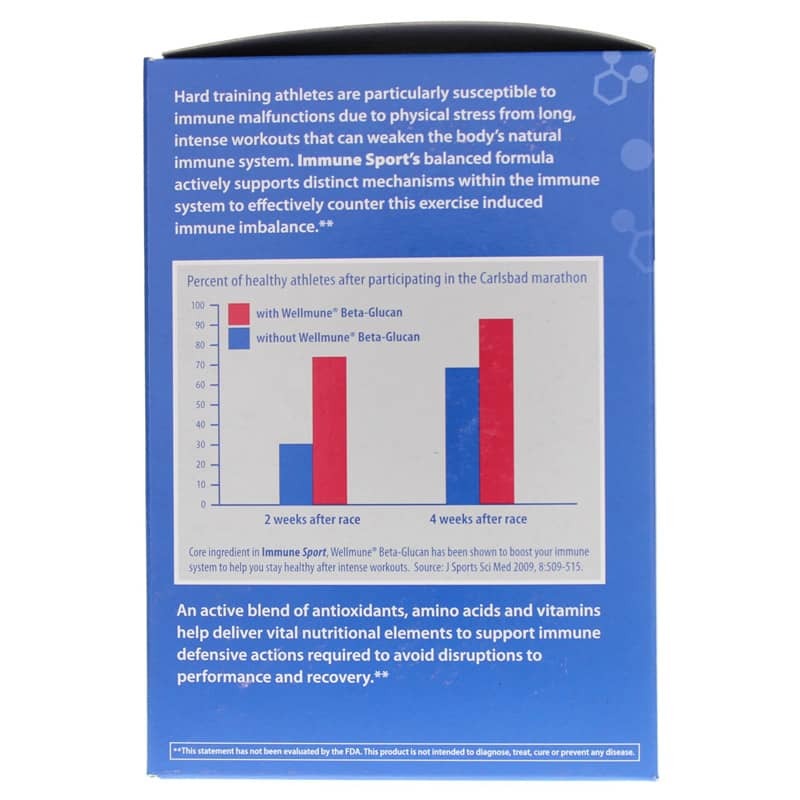 Immune Sport also contains a proprietary blend of antioxidants, amino acids and vitamins for optimal nutritional support, including B vitamins that may be depleted during intense physical activity, and vitamin C and citrus bioflavonoids. In convenient, individual packets and with great all-natural mixed berry flavor, Immune Sport is easy to take anywhere and anytime. Help keep your body performing at its best. Order Immune Sport today. Other Ingredients: TreLEAFiaTM (trehalose, stevia leaf extract, & monk fruit extract), citric acid, natural berry flavor and red beet powder. Contains NO: peanut, tree nut, fish, shellfish, wheat, or gluten. This product is manufactured in a facility that produces other products and may contain trace amounts of milk, egg or soy. Adults: Add 1 packet to 8 ounces of water daily or as recommended by a healthcare professional.